The recent CBS ‘Elvis’ TV mini-series finished at 1968, the point that Elvis staged his great musical ‘Comeback’. This unfortunately helps strengthen the public’s belief that this was Elvis’ "last great performance". Astoundingly the programme didn’t even then bother to mention his extraordinary masterpiece ‘Suspicious Minds’ that followed, taking him once again back to the top of the charts! Occasionally I think fans of Elvis’ later work go a little overboard in their praise of Elvis in the '70s, particularly the late '70s. I guess for the younger fans, like myself, it's kind of a nostalgia thing. But to say that something like "The Spring Tours" of 1977 is a towering example of Elvis' talent or equal to "Heartbreak Hotel" is a bit much. However reading some of the reviews of the recent CBS TV mini-series made me think, enough is enough! People seem to forget that, as for Elvis’ music of the 1960s, if you take the cream of what Elvis recorded in the 1970s it would make any artist proud - and what's more he remained a truly viable commercial entity. While I realize that I could be preaching to the choir here, the work that Elvis did in the 1970s certainly deserves a positive re-evaluation. To begin with Elvis recorded his first flat-out concept album in "Elvis Country" that is often re-evaluated as one of his best LPs of all-time. Elvis also covered as much ground and musical genres as he did in the old days, touching on blues, pop, country, gospel & also some truly soulful funk – it was all still there and more! He also kept in touch with current popular songs. Maybe it wasn't Led Zeppelin or The Who but he did make use of contemporary composers all throughout the decade. Elvis also used the ground newly opened up by the singer-songwriter movement to explore his music as a form of autobiography. 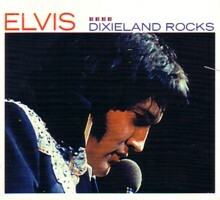 More importantly Elvis used rock tracks like "Separate Ways" to expand the actual idea of rock’n’roll. Like "Yesterday" by the Beatles, the fact that Elvis recorded the song made it ‘rock’n’roll’, even if it wasn't rock and roll in structure. Except for Chuck Berry's "Memphis Tennessee", few rock and roll songs had bothered to address a subject matter like divorce before "Separate Ways". And the underlying text of songs like these addressed the common problems of middle-age. In this way Elvis remained an important spokesman for his generation. They were the ones who in 1972 were often going their "Separate Ways". Many times they didn't have the taste for political or protest or party or drug-rock because they were busy trying to keep their own lives together. You can see it a little bit on some of the selections on "That's the Way it is" as well. Elvis was making songs about choices and consequences. In 1970 there were few rock-oriented artists who made music like this. This was not to say that he couldn't rock effectively as he had ever done. And he retained his ability to radically rethink material. 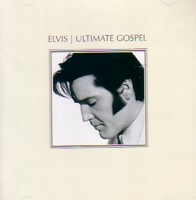 The '72 version of "I Can't Stop Loving You", the blues alternate of "Amazing Grace", the hit "Promised Land" are just a few examples of tracks that Elvis completely reinvented. The same genius you see at Sun is on display here but in a different context. It is also noteworthy that Elvis' version of "T-R-O-U-B-L-E" (recorded after he turned 40) was still far more suggestive than Travis Tritt's remake of 17 years later. Sadly Elvis could rock-out but the critics at the time just weren't listening. And has anyone ever heard a recording as flat-out original as "Softly as I Leave You"? Love it or hate it, it stands alone. 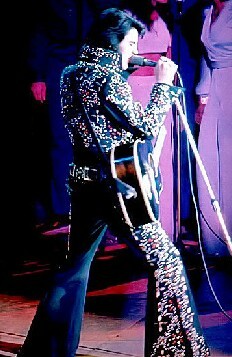 Ernst Jorgensen once stated in an interview that one of his intentions with the "That's the Way it is" set was to prove that Elvis in his jumpsuit was not Elvis over-and-done. 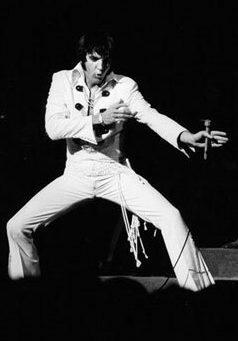 Although 1970 the year of TTWII was a year of profound success both commercially and artistically, in virtually every field of endeavor- stage, screen, and studio, Elvis 1970 was not Elvis over-and-done either! He still remained an active, restless, artist occasionally capable of brilliance despite a stultifying depression. In 1972 he brilliantly revamped his live concert show. In 1974 he revamped the show once again. Unfortunately he was less successful this time, due to the lack of audience understanding, but he was still moving. In 1971, a track like "I'm Leaving" was far afield from anything he had ever done. And there are, at the very least, two better-than-worthy tracks recorded at every Studio session Elvis did from 1971 until his death. Most sessions averaged more. The idea presented by some media that the seventies Elvis was washed up commercially, a joke discarded by the record industry, is completely ludicrous. Had Elvis Presley left RCA in 1973/1974 they would have cut their wrists. And any other label would have killed to have him. From 1970 to 1974, Elvis had at least two of RCA's highest charting singles in every year except 1972 where he had just one - but even then it was #2 for the whole year! In 1970 Elvis and The Guess Who had all of RCA's top six recordings. Over the years, the other names changed on RCA's hit list but Elvis remained their constant. Counting singles and albums, Elvis sold at least 10 million records domestically in 1970 alone. On the album front he was equally successful. For starters, he charted more albums in this one decade than any other artist in any other decade. Virtually every release was guaranteed at least 500,000 domestically and some like the ‘Madison Square Garden’ set, ‘Aloha’, or ‘On Stage’ caught fire and topped the million mark or plus. While there were few dominant sellers, thanks to the excessive release schedule, people were still buying both new and old Elvis records. This does not even take into account worldwide sales. In England Elvis was a Top Ten regular during the 1970s - ie the single "I Just Can’t Help Believing" making #6 (not even released in the US! ), "My Boy" #5, "Moody Blue" #6. Critic and sometimes FECC board poster Neal Umphred estimated in an article in "Goldmine" that Elvis moved more than 100 million records worldwide in the two years preceding his death. Never has there been printed anywhere a notion that RCA even considered dropping Elvis. Their main complaint was that there wasn't enough product. Remember that one of the alleged reasons for the 1973 buy-out was to keep Elvis and the Colonel happy. This does not even consider the prestige factor of having Elvis Presley on the label. On the road Elvis continued to break attendance records throughout the decade. 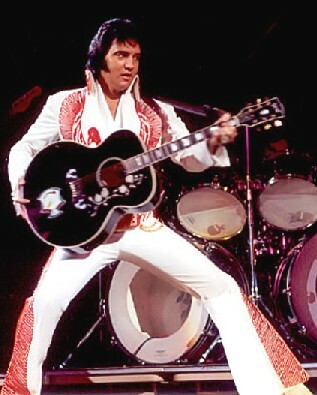 In 1975 alone, when according to the myth he was a complete has-been, more than 60,000 folks packed into the Pontiac Silverdome for one concert event, just to watch Elvis. Even by today’s concert standards of super-domes that is a staggering amount. In 1977 Billboard rated him the year's top grossing live act despite the fact that he toured only half the year. Some of the criticism of the '70s Elvis was also extremely arbitrary. Looking back the Media continues to ridicule Elvis’ jump-suited image yet, at the time, ostentatious & dazzling stage clothing was all the rage. Does anybody ridicule David Bowie or Elton John in the same way nowadays? They don’t because it is seen as part of their clever chameleon-like growth as an artist. Similarly many other performers including hipsters like Mick Jagger wore equivalent stage gear to this and nobody said anything about it – after all it was only ‘Rock’n’Roll’ but we liked it! It was all part of the enthralling spectacular that fans wanted to see - Surely nobody really expected Elvis to come out in a t-shirt and torn jeans did they? 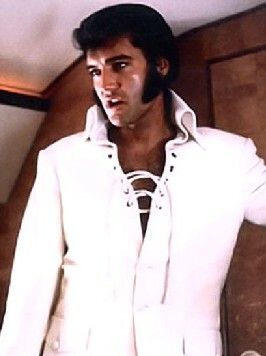 Sadly any fan has to admit that Elvis did have an unfortunate & distressing decline. He did make some poor music (though not nearly so much as in the mid-60s!) and also he did some rotten shows and he got fat. (So he was human & he was middle-aged!) Yet to write the decade off as wasteland is a big mistake - and for the CBS mini-series to ignore such an important part of Elvis’ career is a discredit to his last decade. The King of Rock and Roll did write a final chapter and it was well worth hearing. This Spotlight written by EIN contributor Harley Payette. Also check out Harley Payette's previous fascinating spotlights. Click here for . . Burning Love - a classic or self parody? Elvis That's The Way It Is - the original vs the recut. The Schism Between Elvis' Stage & Studio work. Elvis and James Brown - Kindred spirits!? Elvis In Concert (1977) - should it be released? Did You Miss these Popular Interviews?